Walter Cole was admitted to the Barber Surgeon’s Company (Guild) on 8 May 1593. We know that Walter Cole was a Barber Chirurgeon as stated in his Will dated Aug 13, 1652 and we also know from his marriage document that his birth name was likely Randall. 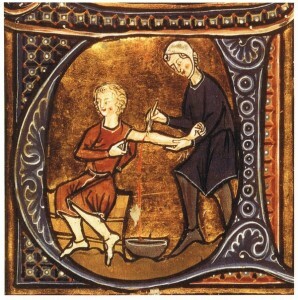 The word Chirurgeon is a medieval term from which the modern “Surgeon” is derived. 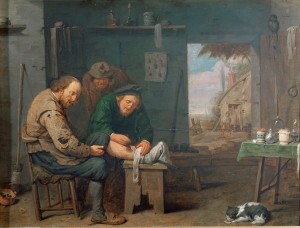 The16th and 17th century’s profession of Barber Surgeon required the apprentice to live with a full member of the Barber Surgeon Guild, for seven years while being taught the trade. The Master (Guild member) was responsible for giving him food and clothing throughout the term of the apprenticeship. After the apprenticeship, Randall (Walter) Cole was admitted as a Freeman Member of the Barber Surgeon Company (we have a copy of the document). 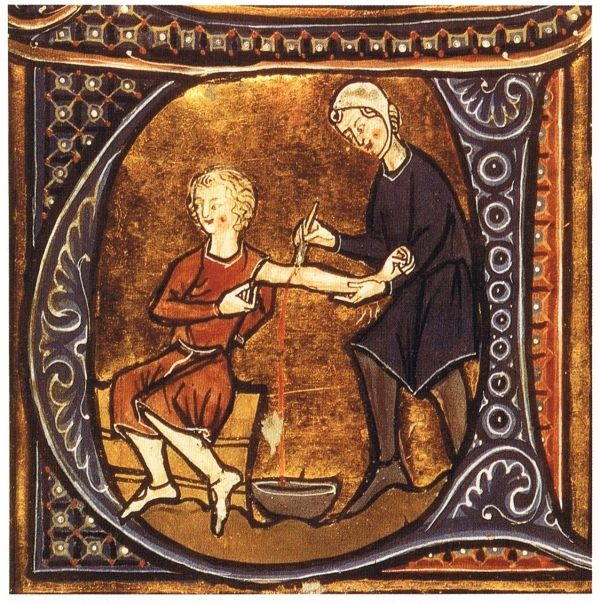 The Barber Surgeon was one of the most common medical practitioners of medieval Europe, generally charged with looking after soldiers during or after a battle. In this era, surgery was not generally conducted by physicians, but by barber-[surgeons]. Formal recognition of their skills (in England at least) goes back to 1540, when the Fellowship of Surgeons (who existed as a distinct profession, but were still not “Doctors/Physicians” for reasons including that, as a trade, they were trained by apprenticeship rather than academically) merged with the Company of Barbers, a London livery company, to form the Company of Barber-Surgeons. However, the trade was gradually put under pressure by the medical profession and in 1745, the surgeons split from the Barbers’ Company (which still exists) to form the Company of Surgeons. In 1800 a Royal Charter was granted to this company and the Royal College of Surgeons in London came into being (later it was renamed to cover all of England – equivalent Colleges exist for Scotland and Ireland as well as many of the old UK colonies, e.g. Canada). [per wiki]. Film: Ms 5265/1; from the Guildhall Library, London. Freedom Admissions to the Barber Surgeons’ Company. They are one of the London Livery Companies. The records of the Company are retained by them and are not easy to access, although for a time they were deposited at Guildhall Library in London, which now hold microfilms of the relevant records.